Sidney Henry Cole was born in Kennington, London in 1908. His film career began at Stoll Studios in the early 1930s as a reader in the scenario department. However, he soon found his way to the studio floor and into the editing suite where he became an assistant to Thorold Dickinson . When Dickinson went to Ealing Studios to edit the Gloria Swanson film Perfect Understanding (d. Cyril Gardner, 1933), Cole joined him as his second assistant. Cole returned to Ealing in 1941 to edit Went The Day Well? (d. Alberto Cavalcanti, 1942) and stayed for eleven years. He was involved with the management of films, becoming first supervising editor and then producer. He produced the compilation film Dead of Night (d. Cavalcanti/Charles Crichton/Basil Dearden/Robert Hamer, 1945), Scott of the Antarctic (d. Charles Frend, 1948), the masterly Ealing comedy The Man in The White Suit (d. Alexander Mackendrick, 1951) and co-directed Train of Events (1949) with Charles Crichton and Basil Dearden . In the early 1950s, Cole briefly worked BIP before embarking on television production for the new commercial television stations. He produced the long-running television series The Adventures of Robin Hood (ATV, 1955-59), The Adventures of Sir Lancelot (ATV, 1956-57), The Buccaneers (ITV, 1956-57) and The Adventures of Black Beauty (LWT, 1972-74). Throughout his career, Sidney Cole was involved in politics inside and outside the industry. At the time of the McCarthy anti-Communist hearings, he employed blacklisted American writers such as Ring Lardner Jr, Waldo Salt, Ian McLellan Hunter and others under pseudonyms to write episodes of Robin Hood . With Peter Proud , he set up the ACTT , which later became BECTU (Broadcasting Entertainment Cinematograph Technicians Union), periodically serving as its Vice President and President. 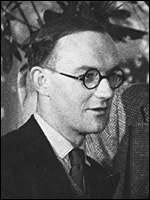 While working for the major studios he also made left-wing documentary films about the Spanish Civil War Behind The Spanish Lines (co-d. Thorold Dickinson, 1938), Spanish ABC (co-d. Dickinson, 1938) and about working class life such as Our Film (d. Harold French, 1942), One In Five (d. Michael Paul, 1972) and People's March for Jobs (1981) for ACT Films , the production arm of ACTT . He preferred the term 'realist' to 'documentary' because this is what he felt they were: films about real life.